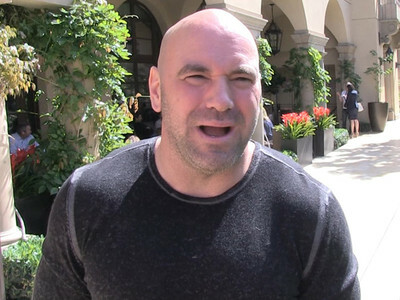 Dana White tells TMZ Sports he's still working to get Nate Diaz to fight at UFC 200 in July -- and says Diaz can essentially fight anyone he wants ... with one giant Irish exception. "Obviously, I would like to keep Nate [in 200]," White told us outside of Mastro's in Bev Hills Monday night ... "Nate stands to make a lot of money in 200, I'd like to keep him in 200, but that's up to him." Dana says Nate's not even mad that the whole Conor McGregor super fight fell apart -- insisting Diaz is "actually pretty cool about it." 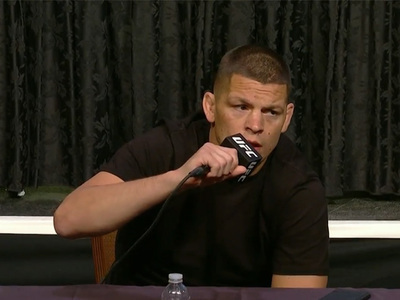 "This is a fight that Conor was really obsessed with and Conor wanted this fight and Nate was like ... whatever." So, what's the plan? Dana says the ball is in Diaz's court. BONUS -- we also asked Dana which 3 UFC fighters he'd like on his side in a bar fight. His #1 choice is very interesting.